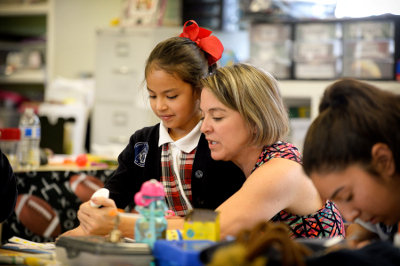 As San Diego's oldest Catholic elementary school, Our Lady's School has a very rich history and tradition of educating young people and teaching them to be contributing members to their community. We are also the only Jesuit elementary school in southern California. We strive to achieve St. Ignatius of Loyola's standards of education and service in all that we teach and do everyday. We are a fully accredited institution through the Western Association of Schools and Colleges (WASC).